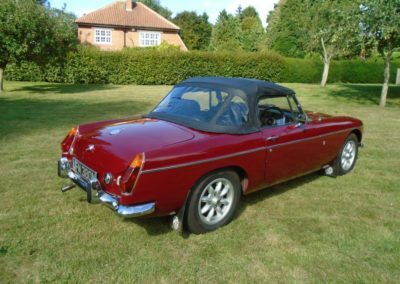 What a lovely motor car this is, finished in the very desirable damask red, with black interior. It was restored in 1987 and has remained in excellent condition ever since, having been used only in dry weather and kept on SORN throughout the winter months, for a good number of years. 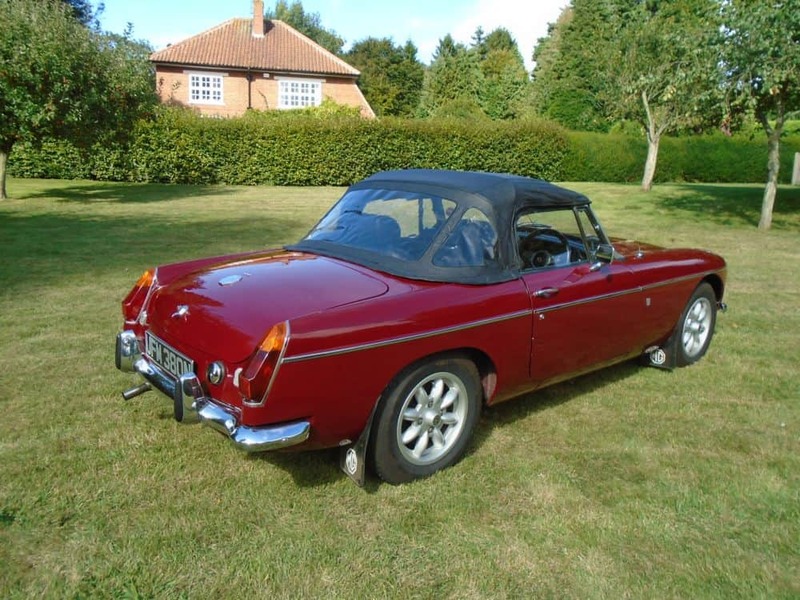 The car has a nice patina with only one or two little marks on the body – the paintwork is generally very good. 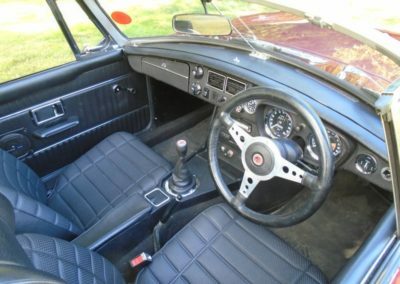 The interior of the car makes a pleasant change, as it is still to the original specification, although new carpets have been fitted at some stage. The seats are excellent. The hood is perfect with no rips or tears and good, clear windows – this has clearly been renewed at some stage. 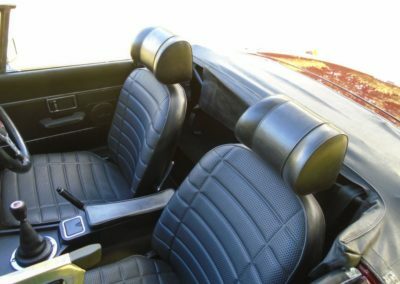 The structure of the car is first class. 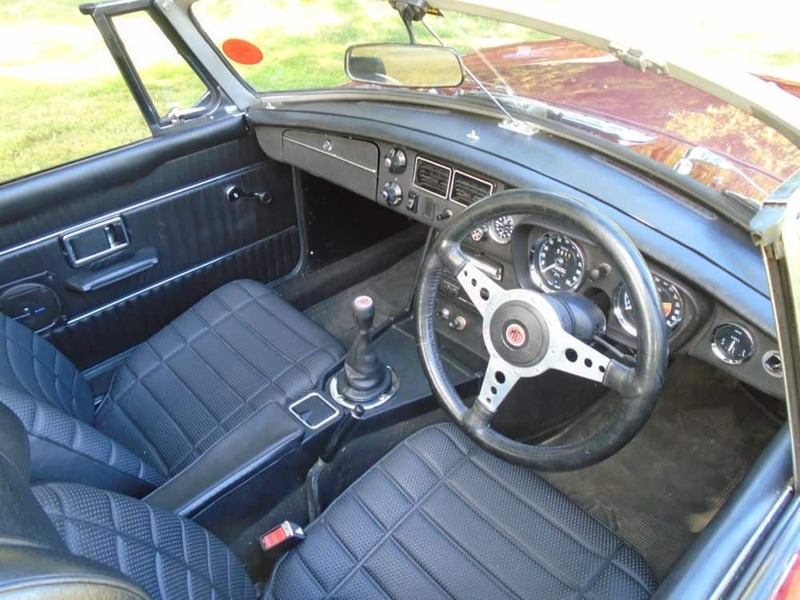 During its restoration, new sills, inner sills, jacking points, front wings, rear half-wings etc were fitted and remain rust-free. 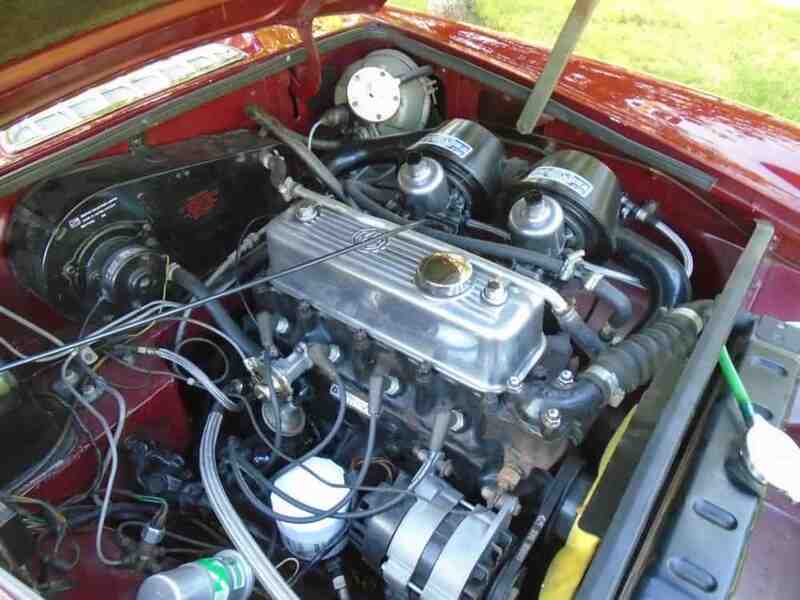 The under-bonnet area is in excellent condition and is good and original. The underside of the car is nice and clean. There are ‘as new’ Vredestin tyres all round , fitted onto ‘as new’ alloy wheels. 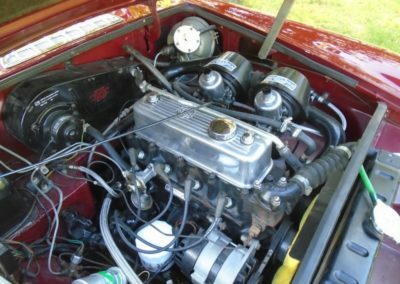 The car runs well, with good oil pressure, no over-heating, good, smooth overdrive and servo brakes, and we think the mileage of 46,800 is correct. There is a good history file and V5C, and MOT to March 2019. 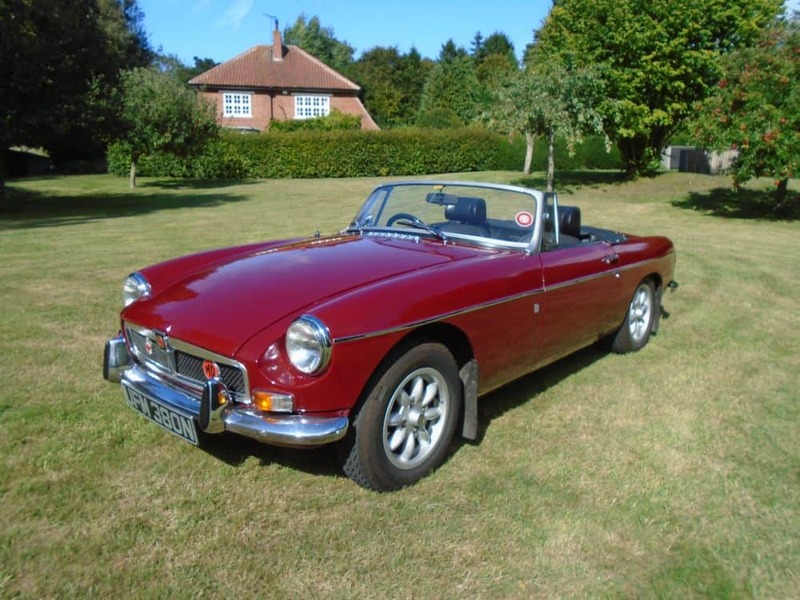 This is a really nice old MGB, ready for immediate use. Sorry – no offers on this one. We are always pleased to consider part-exchange for pre-war or early post-war cars, (or for other good MGBs) and can offer economic delivery to most parts of mainland Britain. Please telephone for more information on 01723 859886 or 07876 741183 (please, no texts) at any reasonable hour, 7 days a week. 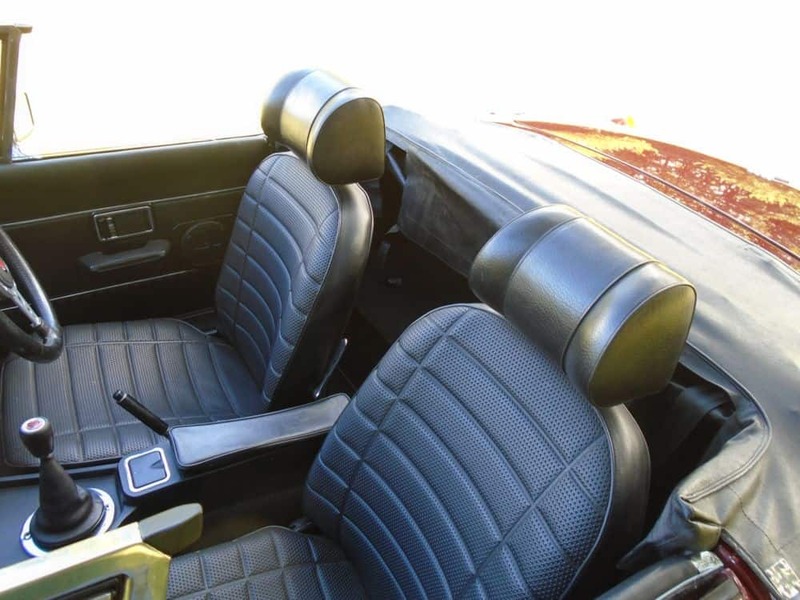 Although for a long time we have been known for specialising in pre-war motor cars (in particular, Austin Sevens, together with a few post-war cars), the market has changed considerably over recent years. The emphasis is now very much on post-war and classic cars of a sporty nature, and especially MGs. 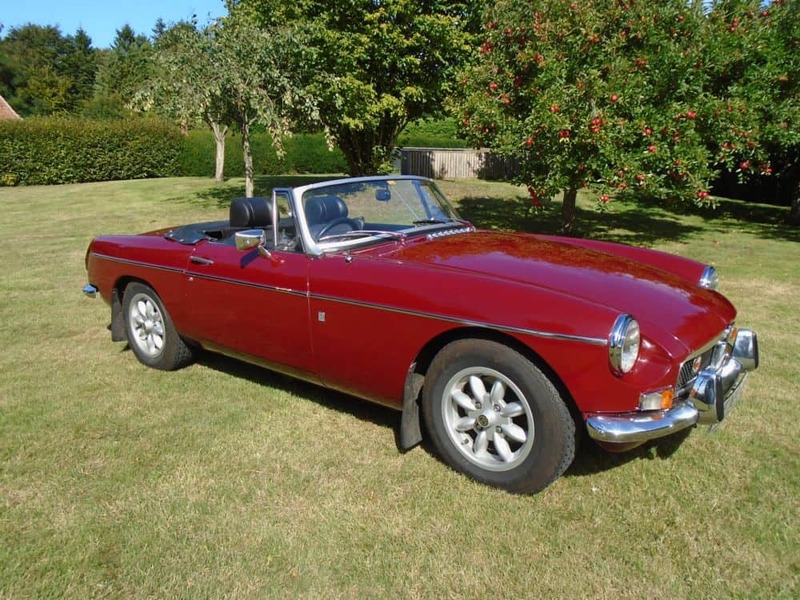 We are therefore now keen to purchase such vehicles, so click on our ‘Do you want to sell?’ page for more information. Alternatively, we would be extremely pleased to sell your car for you on commission if you prefer – again, details can be found on the ‘Do you want to sell?’ page. We can offer economic delivery (of cars purchased) to most parts of mainland Britain, and there is no charge for collecting a car that we have purchased or have agreed to sell on commission for you. All cars, whilst in our care, are fully insured.